IntJCES (e-ISSN: 2548-9373) is an International Refereed Scientific Journal published biannually (in June & December) by ISCSA and operates on Open Access conditions. 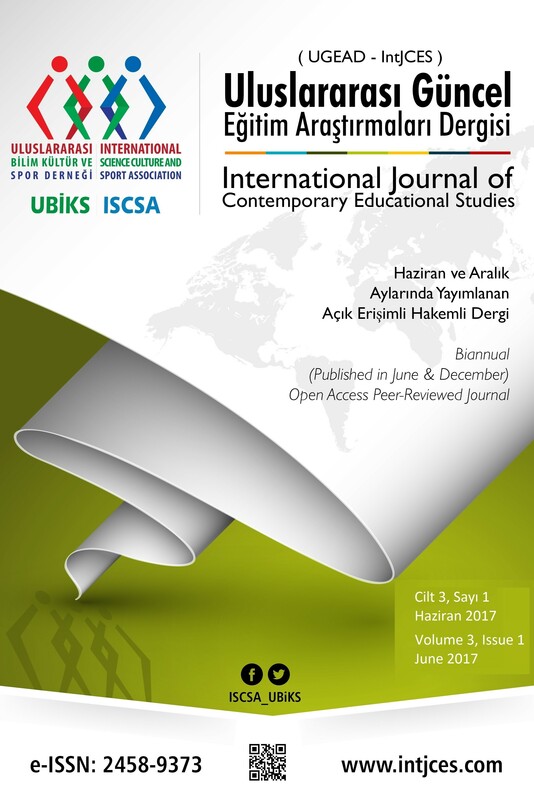 ISCSA is glad to invite you all to submit your educational researches in our new journal, International Journal of Contemporary Educational Studies (IntJCES). As being a young association, but having very ambitious team of academic staff, we really believe that this journal would attract intention from serious scholars working on different dimensions of educational sciences. We invite high quality articles, review papers, case studies of theoretical, and empirical, conceptual, and experimental researches on educational sciences in a properly formatted file as per the author guidelines. We also promote researchers to use our open access articles in their researches and contribute to the development of our journal through their citations.